New Listing! Attention All Encino Flippers, Rehabbers, Developers, Contractors, Buyers, Agents & Dreamers! This Is The Once In A Generation Opportunity That You Have Been Waiting For! First Time On The Market In Decades! Location! Location! Location! Fantastic As Is Or Create Your Own Magnificent Masterpiece Here! One Of A Kind Chance! Must See To Believe! Plan Your Summer Parties Here With You Own Private Sparkling Pool! Great Street! Area Of Much More Expensive Homes! Rare Find! Excellent Flexible 4 Bedroom Home Currently 3 Bedrooms & Convertible Den Floor Plan, Could Easily Be 4th Bedroom! Light & Bright! Huge Center Island Cook Kitchen With Tons Of Storage & Fireplace! Fabulous Family Room! Living Room With Its Own Fireplace Too! Marvelous Master Suite! One Of The Baths Still Has Its Vintage Tile! Terrific Room Sizes! Ultra Rare Offering! 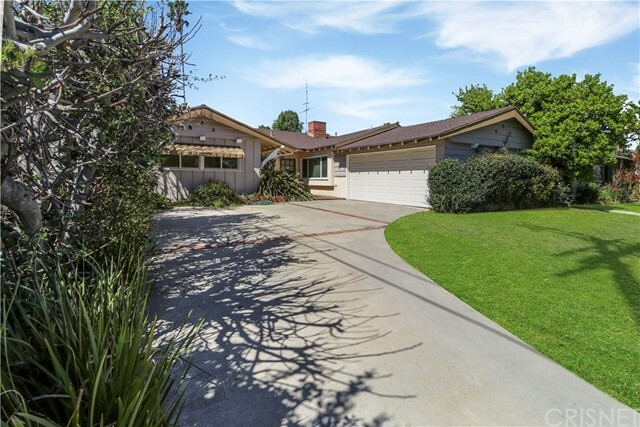 Outstanding Prime Encino Location! Close To Everything! Seconds To Ventura Blvd! Highly Sought After Hesby Oaks Elementary Nearby! If You Are Only Seeing One Incredible Encino Opportunity In In The Price Range, Make Sure This Is It! Do Not Miss! Standard Sale! Must See! Encino Living At Its Best! Based on information from CARETS as of 4/18/2019 8:24 PM CST. The information being provided by CARETS is for the visitor's personal, noncommercial use and may not be used for any purpose other than to identify prospective properties visitor may be interested in purchasing. The data contained herein is copyrighted by CARETS, CLAW, CRISNet MLS, i-Tech MLS, PSRMLS and/or VCRDS and is protected by all applicable copyright laws. Any dissemination of this information is in violation of copyright laws and is strictly prohibited. Any property information referenced on this web site comes from the Internet Data Exchange (IDX) program of CARETS. This web site may reference real estate listing(s) held by a brokerage firm other than the broker and/or agent who owns this web site. The accuracy of all information, regardless of source, is deemed reliable but not guaranteed and should be personally verified through personal inspection by and/or with the appropriate professionals. IDX by Commissions Inc.